A stellar cast led by Marilyn Horne brings Antonio Vivaldi's classic opera to life. Alcina is an all-powerful sorceress who needs to win control of Arontes, the guard of the Temple of Infernal Hecate, in order to gain immortality. Using her powers to bewitch all who cross her path, Alcina twists the visitors of her island -- lovely Angelica, her lover Medoro, and Medoro's rival for Angelica's affections, Orlando -- to her will and weaves a spell of love and larceny that lays waste to the happiness of Alcina's adversaries. 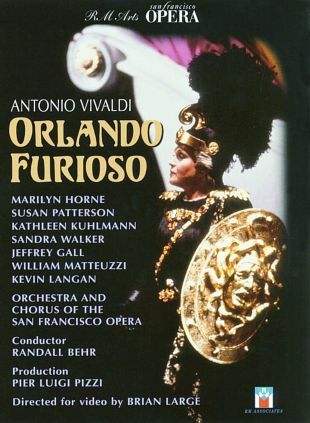 This video release records a 1990 performance by the San Francisco Opera company; joining Ms. Horne in the cast are Susan Patterson, Kathleen Kuhlmann, Sandra Walker, and Jeffrey Gall.